Legal 4 Landlords News › Can Anyone Get Buy To Let Mortgages? Legal 4 Landlords Blog » Can Anyone Get Buy To Let Mortgages? Can Anyone Get Buy To Let Mortgages? The Mortgage Market Review (MMR) has made obtaining residential mortgages more difficult for some borrowers and the financial affordability tests imposed by lenders are also being applied by specialist lenders to buy to let mortgages too, slowing down the purchasing process for many landlords. Many landlords who have been looking to expand rental property portfolios have faced delays over buy to let mortgage approvals, in some cases jeopardising property purchases as some buy to let mortgage lenders have started to over-analyse every step of the process, causing a great deal of frustration for the landlord. The current strong tenant demand for rental properties has come about because of limited supply of suitable properties coming to market, reducing tenant choice and pushing up rental prices in some areas, especially London,the Home Counties and the South East with average rents exceeding £1000 per month.More and more people are finding renting property more practical and flexible, because of lifestyle choices, outstanding financial pressures, employment requirements and in some cases, relocation. Renting property used to be the ‘poor relative’ when compared to residential property ownership, but with the advent of Generation Rent since the property crash in 2007, rented property has become the popular and intelligent option for many. Recent changes to Government legislation have brought the public’s focus on the private rental sector with new legislation intended to protect tenant rights and force landlords to raise standards of rental accommodation across the UK. 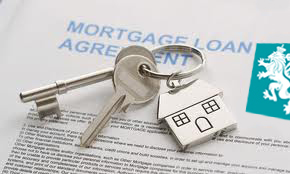 Finance 4 Landlords have been working in the buy to let and commercial mortgage market for many years providing great buy to let mortgages and commercial mortgage deals to landlords and property investors. It doesn’t matter if you are an experienced landlord, a developer or are just starting out in buy to let or commercial property, we can help you get your mortgage arranged quickly. This was written by Mike Clarke. Posted on at 11:30 am. Filed under Buy To Let. Tagged 2007, borrowers, bridging loans, buy to let, Buy To Let mortgages, choices, commercial, commercial mortgage, deals, delays, developer, employment, experienced, finance 4 landlords, financial affordability tests, financial pressure, flexible, focus, generation rent, Government, HMO finance, Home Counties, landlords, landlords insurance, Legal 4 Landlords, legislation, lenders, lifestyle, limited supply, loans, London, MMR, mortgage, mortgage approvals, mortgage market review, practical, private rental sector, Private rented sector, products, property, property crash, property deals, property investment, property investors, property portfolios, property rental, prs, public, purchasing process, raise standards, relocation, Remortgages, rent guarantees, rental accommodation, rented accommodation, rented property, renting, renting property, residential mortgage, services, sim sekhon, South East, specialist, tenant rights, UK, wide range. Bookmark the permalink. Follow comments here with the RSS feed. Both comments and trackbacks are currently closed.